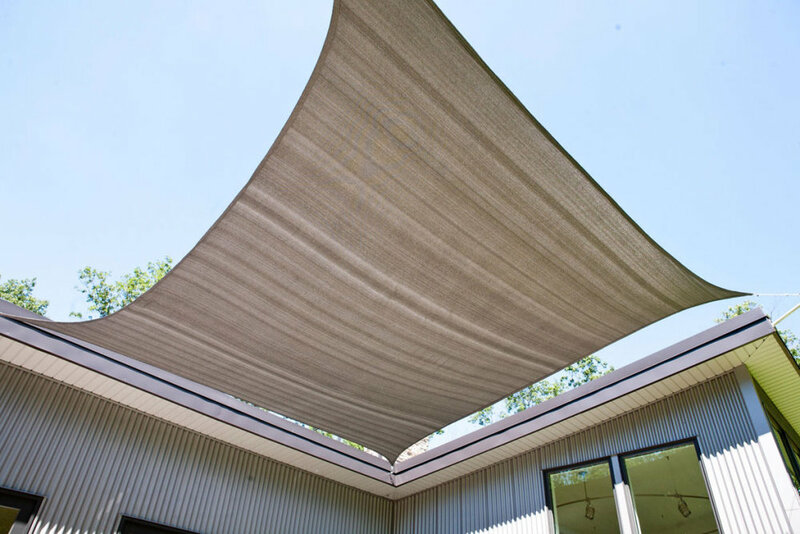 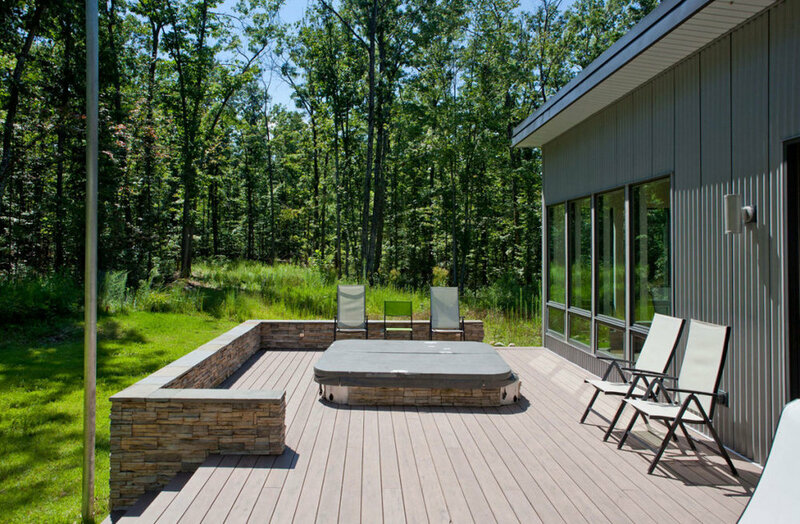 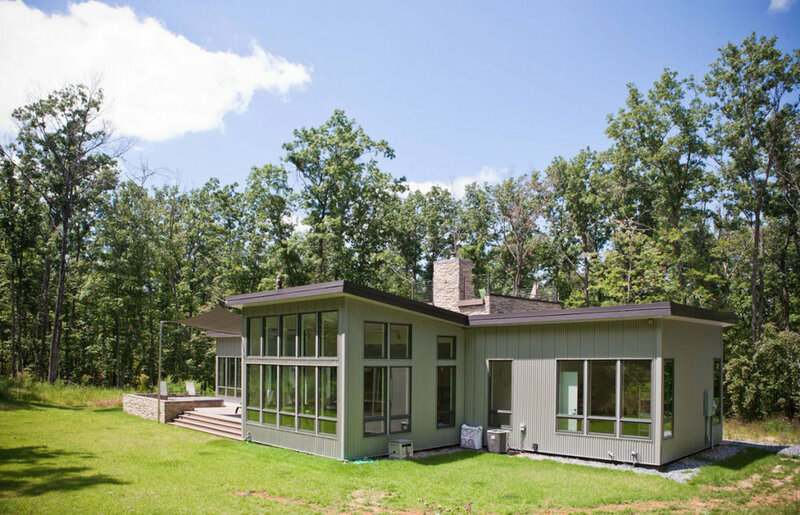 This modern retreat was designed for two busy physicians with young children. 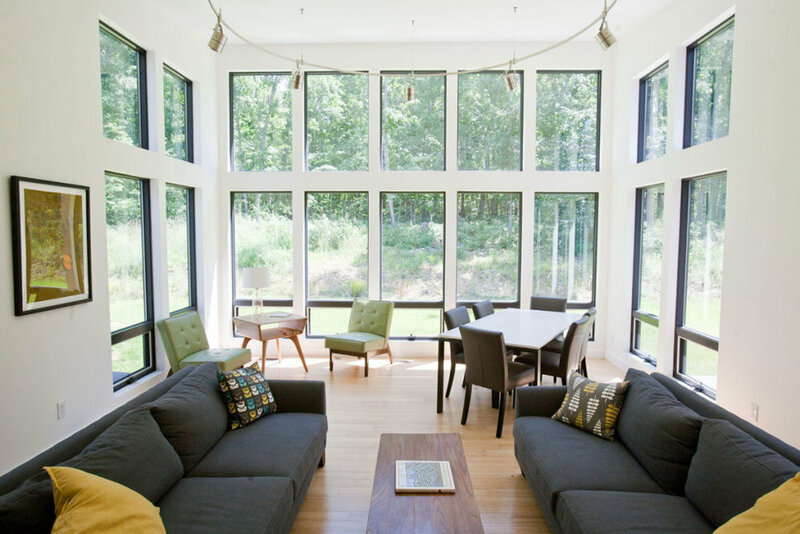 They wanted a light-filled space to enjoy their rural property and unwind from busy schedules. 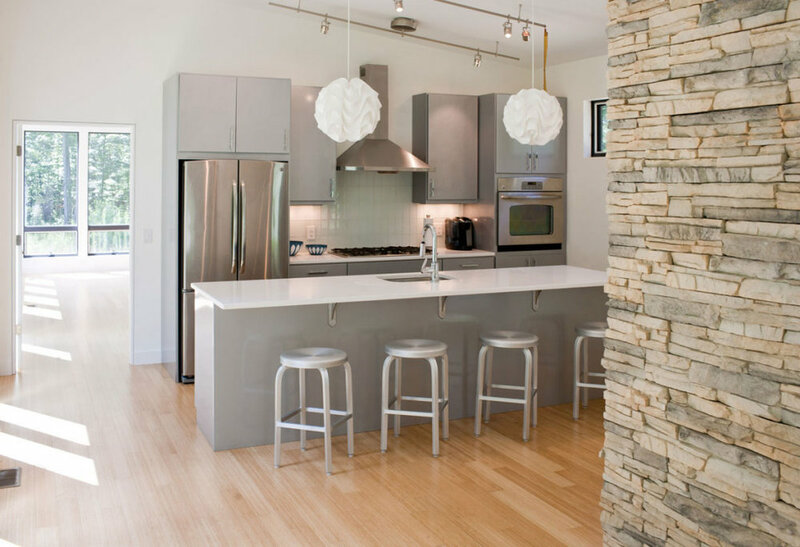 Blue Ridge Architects designed a modern, clean and open plan that allows for intimate family time and excellent flow for entertaining. 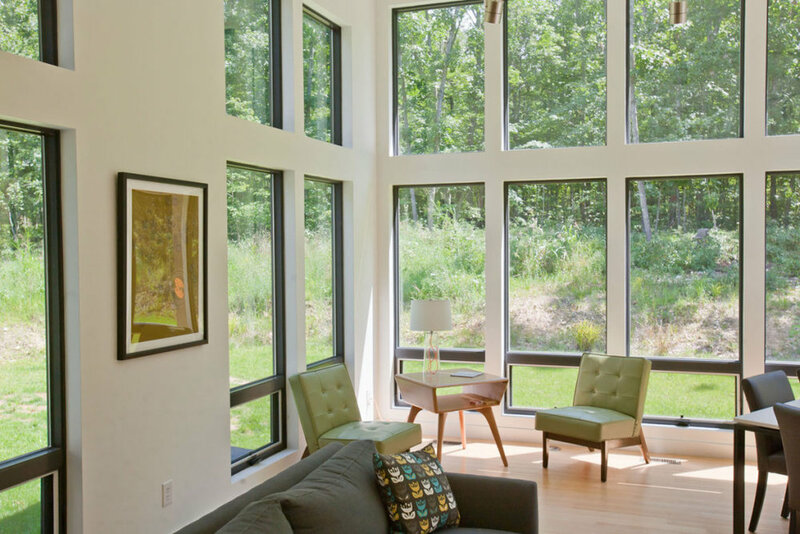 The placement of windows allows for unobstructed views of nature and a bright, airy environment.